This is just going to be a quick post about decluttering my nail polish collection using the KonMari method. It took me maybe 5 minutes to get through them but I feel so much better that it's done. 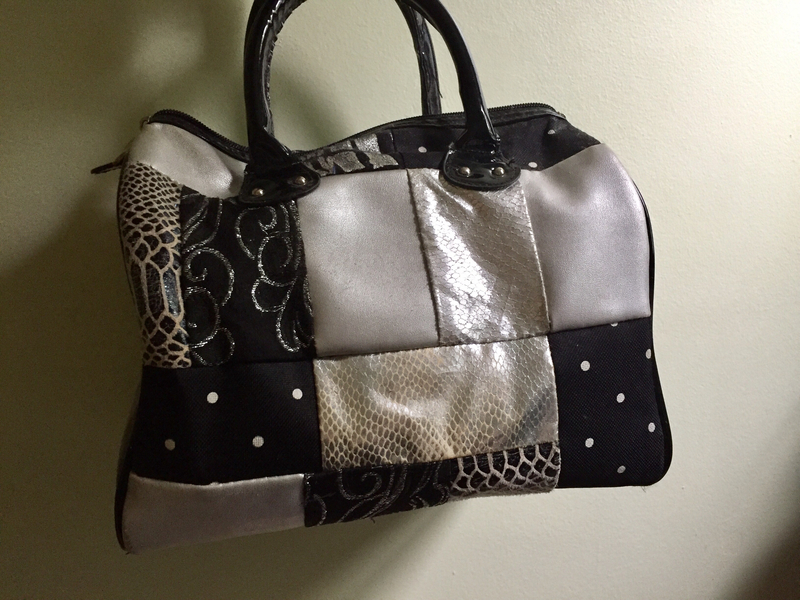 Here is the massive and old bag I was using to hold my nail polish. I just don't have room for this anymore, it doesn't spark joy, and I want it gone ASAP. 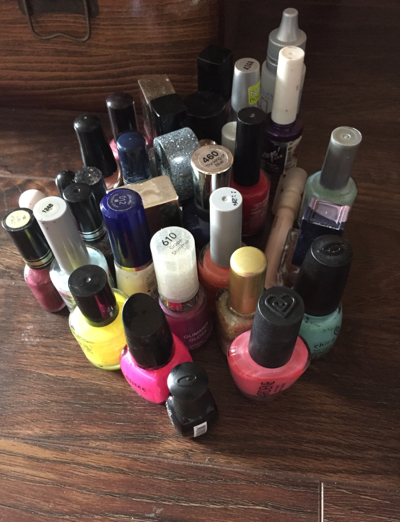 When I started sorting through the polishes, I noticed that 75% of them were at least 10 years old. Some of these nail polishes were probably from middle school. I'm serious. I immediately got rid of all of the old, dry and almost empty ones. For the ones that still had a decent amount of polish left, I took a few seconds for each one and decided if they sparked joy or not. My favourite joy sparking nail polish brands are O.P.I, Essie, & China Glaze. I just love their packaging and how the handles feel. It may sound weird, but why keep something that I don't enjoy looking at or using? They're also the ones that seem to stay on my nails the best. 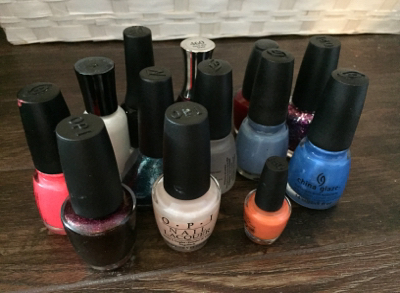 Decluttering nail polish may seem like something simple and quick, and for the most part it is, but there were definitely some emotional attachments I wasn't expecting. I found nail polishes that reminded me of high school dances, Halloween parties, a wedding I was in, etc. I also found a reallllly old nail polish of my moms that I think she had when I was a little girl. The only reason I kept it for so long was because I remembered my cousin telling me once that she always remembered my mom having purple nails. So for some reason, I held on to this purple nail polish. No idea why, and I don't even remember her ever wearing it myself. Now that I'm using the KonMari method, it seemed like a weird thing to keep. My mom will probably think I was super weird to keep it if she reads this too. If I dig deeper into the meaning of it, maybe I was keeping it because it's something she used to wear when she was married to my dad- but I wear her wedding set every day, so I don't need a random bottle of nail polish to remind me that my parents got along at one point in my life. I'm letting the purple polish go.